Connects to Your Existing Faucet & Sprayer! Produces great tasting, premium drinking water for just pennies a gallon! 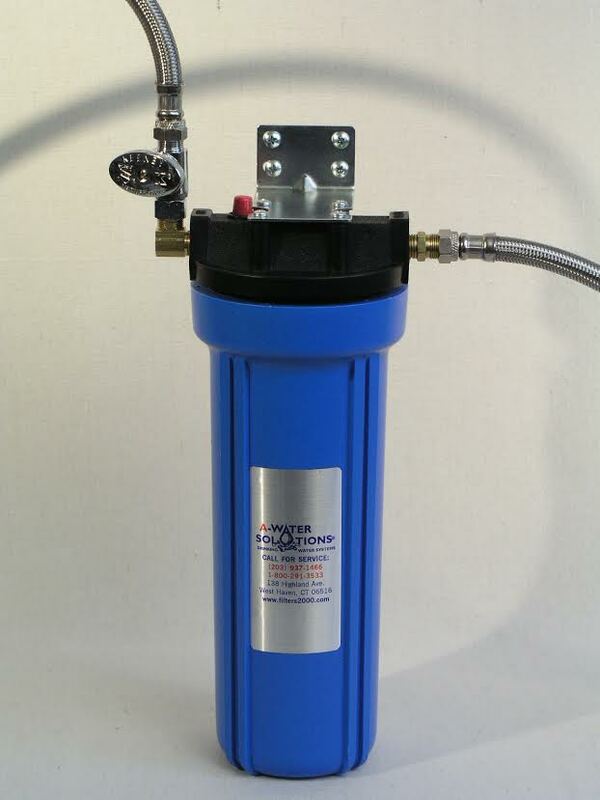 Up to a 5,000 gallon capacity with our exclusive filter cartridge! Removes Chlorine, Turbidity, Volatile Organic Chemicals (VOC's), Heavy Metals, Bacteria and Cysts including Giardia and Cryptosporidium! Leaves in beneficial minerals including calcium, magnesium and potassium! Eliminates the expense and hassle of bottled water forever! No more empty plastic bottles to recycle! Replaceable, cleanable filter cartridge lasts an average of 12-18 months! 90 Day Satisfaction Guarantee and 1 Year Manufacturer's Warranty! No extra faucet and no drilling necessary! Your pets will thank you for it, too! Dimensions: Only 13” H X 6” Diam.